Thousands of buy-to-let landlords will see their earnings hit after George Osborne cracked down on mortgage interest tax relief in his summer Budget today. This change will be phased in over a four-year period from April 2017. Currently, landlords can claim tax relief on monthly interest repayments at the top level of tax they pay of 45 per cent. 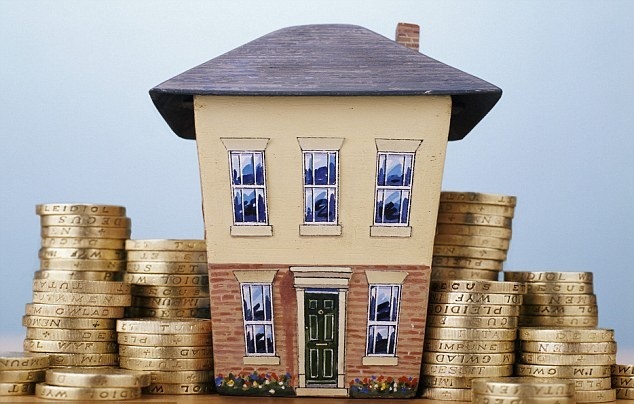 Mortgage interest relief is estimated to cost £6.3billion a year, a Freedom for Information request revealed recently. WHAT IS MORTGAGE INTEREST RELIEF FOR BUY-TO-LET INVESTORS? This meant that if you have an interest-only mortgage, your whole monthly repayment will be tax deductible. This allowed buy-to-let landlords to offset their mortgage interest payments against their income, whereas homeowners who live in their properties cannot. At the moment (and until April 2016), you can deduct your mortgage interest (plus associated costs like arrangement fees) along with all your other costs before determining your taxable profit. You are then taxed on that profit at your marginal rate — so a basic rate (currently 20%) taxpayer would pay tax of £800, and a higher rate (currently 40%) taxpayer would pay £1,600 and additional rates for income above £ 150,000. By the time the new measures have fully taken effect in April 2020, you will no longer be able to deduct mortgage interest costs from your taxable profits. Instead, everyone will be able to claim a basic rate allowance for their finance costs — irrespective of their marginal rate. A basic rate taxpayer would pay £1,800 tax on that new £9,000 profit, and a higher rate taxpayer would pay £3,600. BUT WAIT…everyone gets to claim a basic rate deduction of 20% of that £5,000 mortgage interest cost. That’s £1,000. Firstly, you’ll notice that the basic rate taxpayer ends up paying exactly the same amount of tax under the new system: £800. The higher rate taxpayer, however, ends up paying £1,000 more. But this doesn’t mean that the basic rate taxpayer is unaffected. Because the deduction is applied after calculating the taxable profit, everyone’s “profit” has actually increased — from £4,000 to £9,000. This means that people whose income (from property plus employment and any other sources) is currently below the higher rate threshold may end up getting pulled into the higher rate band as a result of their higher property “profits”.